Situated at the base of the Conejo Mountain, Camarillo Springs Golf Course was carefully carved from the mountain's towering rock formations but it gets its name from the scenic water features that can be found throughout. 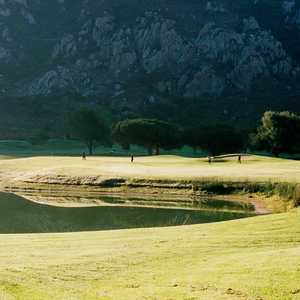 Naturally, water is the primary challenge on this course, coming into play on eleven holes. The 18-hole Las Posas Country Club in Camarillo, CA is a private golf course that opened in 1955. Designed by Lawrence Hughes, Las Posas Country Club measures 6403 yards from the longest tees and has a slope rating of 128 and a 72. The 18-hole Leisure Village Golf Club in Camarillo, CA is a private golf course that opened in 1977. The greens are bent grass and the fairways are bluegrass. The 18-hole Spanish Hills Country Club in Camarillo, CA is a private golf course that opened in 1993. Designed by Bob Cupp, Spanish Hills Country Club measures 6702 yards from the longest tees and has a slope rating of 140 and a 72. 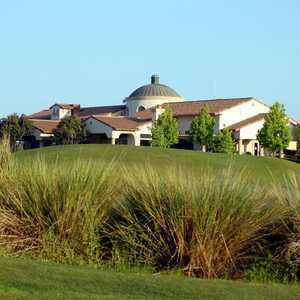 Sterling Hills Golf Club sprawls across acres of lush countryside surrounded by avocado groves and citrus orchards. The layout winds through the verdant hills between Oxnard and Ventura. The versatile layout balances areas of wide-openness with target-style golf. There is contoured mounding along the fairways and some interesting elevation changes.